Just like our intermediate Genetic Genealogy Demystified webinars, this will be a 3-part series covering Y-DNA, mtDNA and Family Finder. Both will be held live at 1pm Eastern (5pm GMT). All of our webinars are recorded, so if you can't attend at this time, be sure to check out our on-demand recording option below. This new series of advanced webinars goes above and beyond our Genetic Genealogy Demystified series, providing more in-depth detail about the genetics and usage of each test. Advanced Matching, FTDNATip™, Genetic Distance models & calculations, Modal values, NIST Standards, Compound markers, Palindromic region, Multi-copy markers, Micro-Alleles, SNP discovery & Deep-clade/advanced SNP testing. Unable to attend the webinars live during the scheduled times? No problem! Relative Roots webinars are recorded and available for on-demand viewing at your convenience. Recordings become available about 24 hours after each live webinar and remain online for the rest of the month. Register prior to the live webinar. You will be registered as though you were going to attend live. You may receive some reminder emails for the live webinar, which you can safely ignore. Then about 24 hours after the live webinar ends, you'll receive an email containing the link to the recording. The recording of today's webinar by Marian Pierre-Louis, "Free and Easy Ways to Share Your Audio Files" is now online to view for free for a limited time. Marian had some excellent ideas for sharing our family history with others, including creating slide shows and movies. 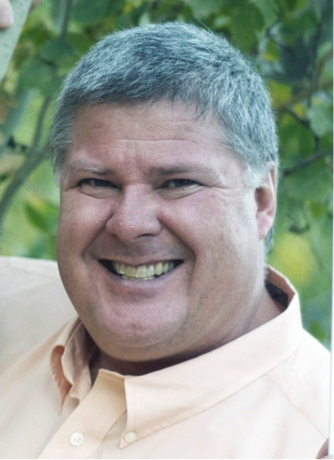 Marian Pierre-Louis is a genealogical writer and speaker who specializes in southern New England research (Connecticut, Rhode Island, and Massachusetts). Born and raised in Connecticut, she has lived in Massachusetts for almost 20 years. Marian has three generations of recent family ties to Rhode Island and also links to some very old Rhode Island lines. As a result, these three states have become the focus of her research activity. Unlike most genealogists, Marian is spoiled to spend most of her time working with original records. You will most often find her researching at a town hall, registry of deeds, probate court or the local cemetery. It’s a rare day that Marian has to sit in front of a microfilm reader. Marian is actively engaged in social media. You can find her starting conversations on Facebook, Twitter and Google+. She frequently speaks on New England topics including house history research, social media, African American research and a broad range of genealogical topics. She is the author of several blogs including: Marian's Roots & Rambles and The New England House Historian. She is the host of the new Internet radio show, Fieldstone Common. Listen to her each Thursday at www.blogtalkradio.com/FieldstoneCommon. Her website iswww.FieldstoneHistoricResearch.com. The Friends of the National Archives Southeast Region are pleased to sponsor the presentation "Records of the Tennessee Valley Association“ with Maureen Hill, Archivist, September 10th, 2013. Summary: Learn how families and communities of the Tennessee River Valley were affected by the TVA Act of May 18th, 1933. The available records are astonishing! Presenter: Maureen Hill is an archivist at the National Archives at Atlanta. She has earned her Master of Library of Science from Valdosta State University and her Certified Archivist distinction from the Academy of Certified Archivists. 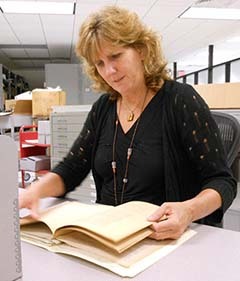 Maureen lectures frequently about the holdings of the National Archives. about joining the Webinar. You will use your unique URL in your confirmation email to logon to the live broadcast on the 10th of September.